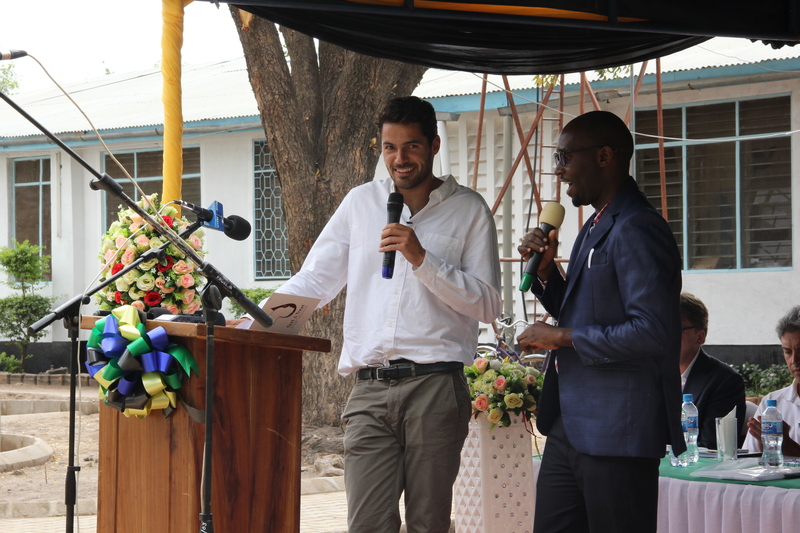 June 18-22, Max Lange traveled to Tanzania to be at the opening of the Joep Lange Laboratory, named after his father. This is his experience. 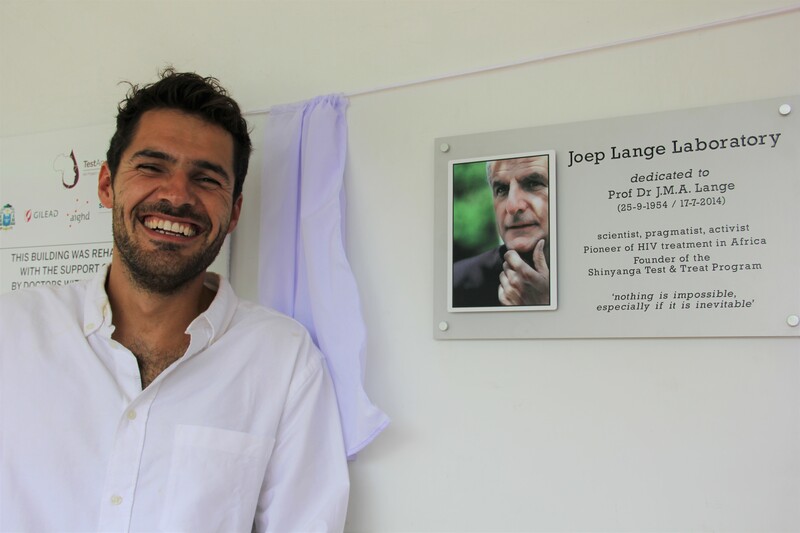 The week of June 18-22 I traveled to Shinyanga, a rural area in northern Tanzania, to be present at the opening of the hiv/aids laboratory that was named after my father, Joep Lange. I had been there before with my sisters in late 2016, when we visited several projects and clinics in eastern Africa that my father has contributed to. At that time, building construction of the Joep Lange Lab had just begun. I had vivid memories of my first visit there: we gave a photograph of our father to the Ngokolo Health Centre director, doctor Katambi, and when he saw it, he became emotional and started kissing the photograph. That was the moment we truly realized how much impact our father’s work had made there. We posed for some photographs with the doctor and he announced that the new building would be named after my father. Now it’s almost 2 years later. The new Laboratory is finished and the building will be opened festively. I have been invited to give a short speech as a representative of my family. I am told that the local people consider it a great honor that one of my father’s relatives is present. It’s a very exciting and impressive moment for me and I am honored to have been invited. 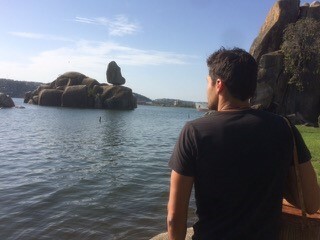 Before the inauguration event in Shinyanga, I stayed in Dar-es-Salam and in Mwanza, the town on Lake Victoria that is nicknamed ‘rock city’. I made some friends there on my previous trip and I love the place. It’s very green and there are huge rocks everywhere. Some of them are so precariously balanced that it looks like they might fall over any moment. Nevertheless, people have built houses in front of them, next to them and even on top of them. I’m amazed that they’re not afraid of being crushed. In Mwanza, I stay with a friend for a few days and spend time exploring town. Like last time, I’m impressed by the openness and friendliness of Tanzanian people; everyone is friendly and takes the time to chat, and I really feel at ease. I make a lot of new friends. My friend lives in an old hostel on the University campus. I meet a student there who has just returned from an economics course at Harvard and another student starts talking about Mooji, a spiritual leader whose work has impressed him. By an incredible coincidence, this man lives less than 10 minutes away from my own place in Portugal and I also have met him. Both meetings surprise me very much. After a few days I take a local bus from Mwanza to Shinyanga. It’s a three-hour journey across a thinly populated savannah. Now and then we pass a village, a herd of cattle or some children playing by a small lake. I listen to Miriam Makeba while I stare out of the window and feel emotional. 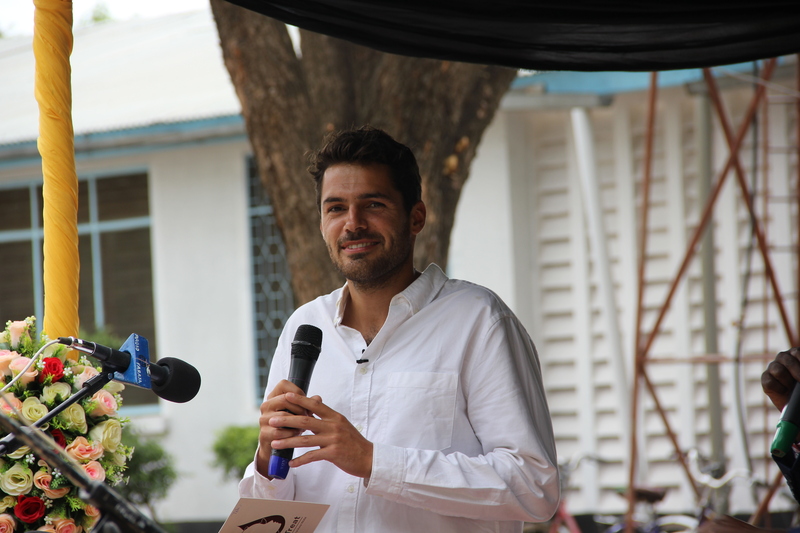 I have developed a special relationship with Africa and I’m very grateful to be here again. Today is the big day in Shinyanga. We are at the clinic and new Laboratory. There are representatives of AIGHD, CUAMM, other NGOs present, as well as representatives of the sponsoring pharmaceutical company. I see local church leaders, including the Vicar General of Shinyanga, as well as municipal-, district- and regional authorities. About 300 local people have turned up. When I arrive, a large choir has just started singing. A little later, a group of men in traditional dress, the Sukuma, perform a wild dance. It’s all very festive. There are a number of speakers who call the construction of the Laboratory a milestone and feel hopeful about the future. 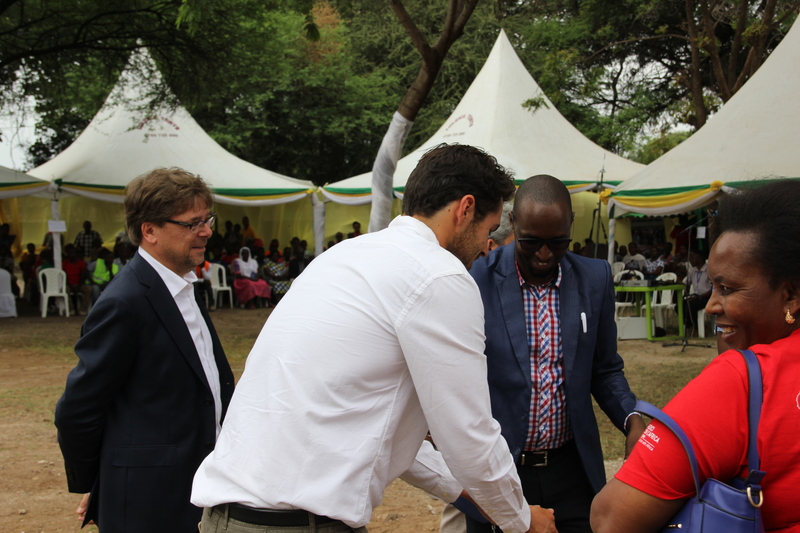 This clinic and the ‘Test and Treat’ project* that is being conducted here will make an enormous impact on the region. Then it’s my turn to speak. I feel nervous, but after a few deep breath I manage to launch into my speech. I thank everyone for their presence and tell them about my father’s career. When he began his work here, most experts did not think there was any point in starting HIV treatment in Africa, but my father disagreed with them. He did think it was possible and necessary, while many doctors and organizations in the west thought it would be a hopeless task. He dedicated himself to his ideal, put a lot of energy into it and in the end it turned out he was right: things are improving in Africa where HIV/aids is concerned. I talk about my father’s contribution to this project and finish by expressing my enthusiasm and my hope for the new Laboratory. It is an important continuation of my father’s work and philosophy. He would be proud. Everyone applauds and I leave the stage feeling happy and relieved that my speech went so well. A little later, we open the clinic officially. We cut a ribbon and pull aside a curtain, revealing a plaque with a photograph of my father. It really touches me. Then we all enter the clinic together, including the choir and the dance group. Everyone begins to sing and dance and I join in. I shake hands with lots of children. Except for my speech I have not contributed anything to this clinic, so it feels a little strange to be the center of so much attention. Everyone is thanking each other, there’s a lot of jubilation, it’s an ecstatic moment. All in all it’s a beautiful get-together. For me personally, it’s a very special feeling to be standing here in the middle of a remote area of Tanzania in a clinic with a big photograph of my father by the entrance. Everyone who comes here will see his face, and most of them will have no idea who he was and why that photograph is there. It seems odd. Nevertheless, I’m proud of my father and of all people who dedicate themselves to improving the treatment of HIV/aids. HIV/aids is a ruthless killer that’s still widespread in many parts of the world. This clinic and the Test and Treat Project that is being performed here will be a huge improvement for the entire region. Patients who are diagnosed with the virus can start treatment here right away. That is new and it can save a lot of lives. I am hoping to return to Shinyanga one day and see a lot of positive change. When I leave the Ngokolo Health Centre and the Joep Lange Lab at the end of the day, I feel honored and grateful that I was invited here. It is so beautiful to see that my father’s work is being continued. *With ‘Test and Treat’ people who are diagnosed with HIV are put on antiretroviral treatment immediately, which has recently been proven to significantly increase treatment success rates and reduce transmission of HIV to other people.